Recently I wrote about Immobilier Baker, our new Baker Real Estate presence in the burgeoning City of Montreal. We are ecstatic that our first client there is Onyx Condominiums, which will soon come to the market from developer Malan Capital. We worked with Malen’s owner, Mitchell Abrahams, on his condominiums 83 Redpath and The Benvenuto in Toronto, so we are familiar with the excellent quality that is a hallmark of everything this well-respected industry professional touches. 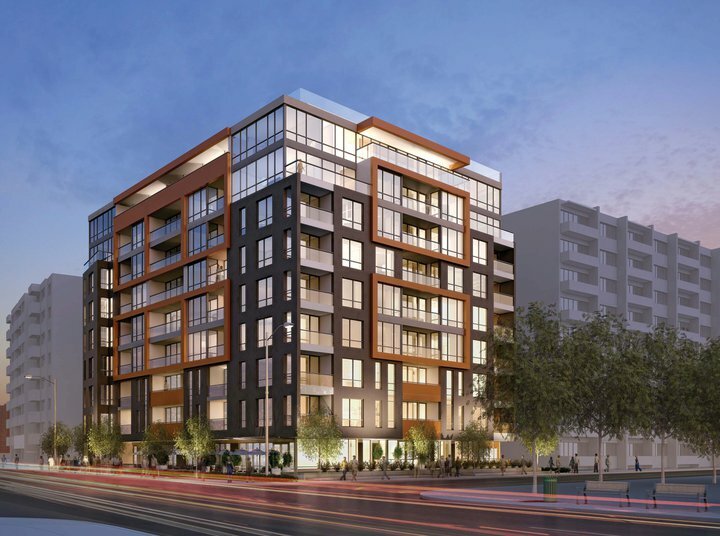 We are flattered that he turned to Immobilier Baker for help launching this exciting new condominium. Mitchell is actually from Montreal and has family there, so he is thrilled to be developing this beautiful new building in a city he loves. Rising to an intimate nine storeys, Onyx will offer 107 suites in an incredible location, between Mount Royal and St. Joseph’s Oratory in Côte-des-Neiges. The condo is literally across the street from Mount Royal Cemetery, which is one of the most beautiful in North America. This striking piece of property is landscaped in terraces that cascade down the mountain and feature woodlands and lush annuals, perennials and trees that create a serene setting. Montreal residents can often be seen jogging and walking their dogs on the foot paths that wind through this well-loved space. Onyx also faces a small park, which adds to its natural appeal – and this residence is less than five minutes from downtown Montreal! TheCôte-des-Neiges area is home to the University of Montreal, Collège Jean-de-Brébeuf, numerous hospitals and medical facilities, as well as a Metro station, and is teeming with urban professionals. This neighbourhood has not seen any new development in years, so there is a pent-up demand for quality accommodations. In fact, numerous articles have appeared in the media about Montreal needing more condominiums. We have only one sign at the location, and we have already had close to 1,000 responses! In preparation, we have engaged a very experienced broker of record, Lorraine Ouellet, who has the unique skill set to help us with this and our future Montreal Projects. Prices at Onyx will begin from $175,000. There will be a range available from studios to three-bedroom designs, with most being one-bedroom + den. Amenities will include a fitness room, party room and underground parking. If this sounds like the perfect new home or pied-à-terre for you, I suggest you register NOW at onyxmontreal.com.